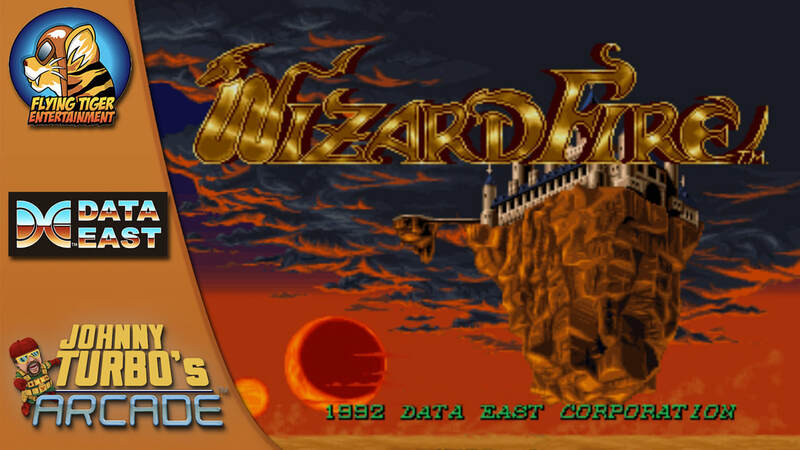 Wizard Fire - FLYING TIGER ENTERTAINMENT, INC.
​Flying Tiger’s Johnny Turbo’s arcade releases the 1990’s arcade classic, Wizard Fire for Nintendo Switch Now! This will be the 5th game to feature Local Co-op Play! On the go, or in your home. Los Angeles, CA - June 05th, 2018 – Flying Tiger Entertainment presents the Japanese arcade hit, Wizard Fire, the sixth action game release from Johnny Turbo’s Arcade, featuring classics by Data East™. Launching on June 21st, 2018 for $7.99 in America, Pre-Order on June 14, 2018 for $6.99. Coming soon in selected European territories. 2x the fun! 2 players Co-op! With the The Real Arcade Feel!